We recently blogged about the Environmental Working Group’s Dirty Dozen list fruits and vegetables. So what is the flip side? What are the cleanest fruits and vegetables to eat? Again, we turn to the EWG for their Clean Fifteen list. First up…sweet corn. Corn is the second most mass produced food in the world after sugar cane. The mass production of corn makes it a surprise to have it on the Clean Fifteen list. However there are two reasons working in corn’s favor. First corn is protected by the husk and GMO corn is typically not sprayed with pesticides since it is created to resist bugs “naturally.” So, whether on the cob or popped (use a pot versus the microwave), corn helps with healthy bacteria growth and inhibits the risk of colon cancer. Corn also has antioxidant properties, regulates blood sugar levels, and increase absorption of trace minerals. 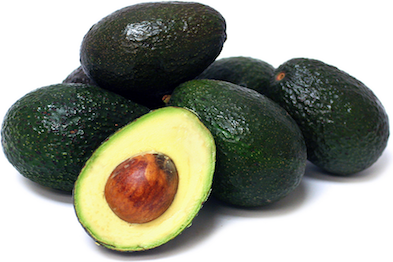 Number two on the list of the Environmental Working Group’s Clean Fifteen was avocado. These dark green beauties are consistently on the Clean Fifteen list; reason being…their thick skin blocks out pesticides. Out of 15 fruit and vegetables, avocado samples returned with only one pesticide and the lowest percentage of occurrence — one percent of imiprothrin. From guacamole to a smoothie, avocados have become a favorite for their taste, versatility, and healthy fat content. Rich in folic acid, potassium, fiber, and offering numerous health benefits, they’re a fabulous addition to your diet. Studies suggest avocado can protect from liver damage, decrease cholesterol, and due to it’s rich fat content, allows the body to absorb carotenoid antioxidant molecules to protect the body from free radical damage and inhibit oral cancer cell growth. And last, but not least, the final 13 fruits and vegetables on the Environmental Working Group’s Clean Fifteen list for 2017!